This is an absolute treat for UFO fans as this looks like a Flying saucer in it's silhouette but I can't confirm it's shape so I just have to go go with a good old "classic UFO". The telescope is on Earth and not a space based telescope as the shimmering indicates the telescope is looking through the atmosphere and I honestly do not think this is a satellite going past either? 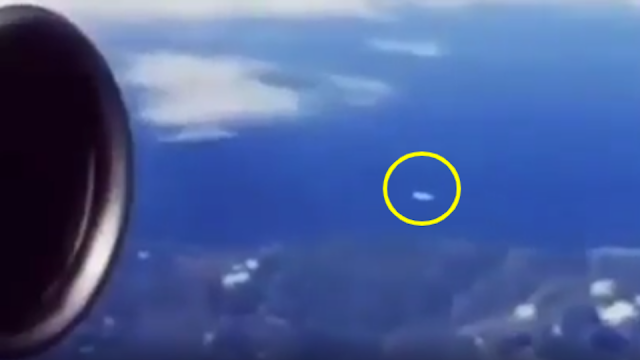 As there's nothing jutting out from this strange anomaly like a normal satellite, this is what is making me think that this is a craft of some sort? It doesn't have anything hanging from it (even small things at least) and it's obviously not a plane as there's no wings. That's all we have to go off? 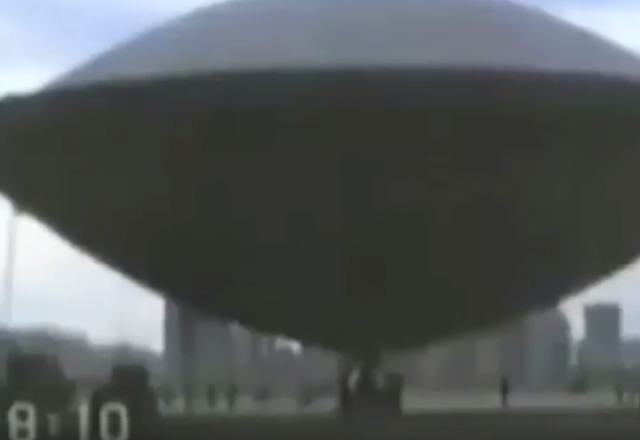 So I'm going to let you decide what you think this is guys, it could be a Flying Saucer as in one part of the video (5 seconds in) it actually has the classic little dome on top of the disk shape which would make it a Flying Saucer shape. I don't think it's because it rotated and now we can see the dome on top of it, I think this could be part of the dark background making it look like a Flying Saucer? I always post and blog about the UFOs that I really like and the Flying saucers (if that's what this is) because I want answers to the age old question of mankind "are we alone in the Universe"? 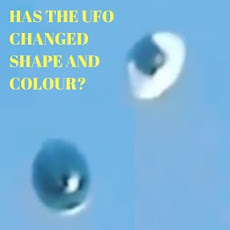 I encourage you to post the stuff you like and the stuff that interests you most - from the way it looks (obviously) and the types of UFOs that stand out like this one Plus the ones that have erratic maneuvers, incredible speeds, unbelievable colors, changes it's shape in mid flight and the ones that are "not alone" in groups or in pairs. Check this post that I did about UFOs on our Moon! 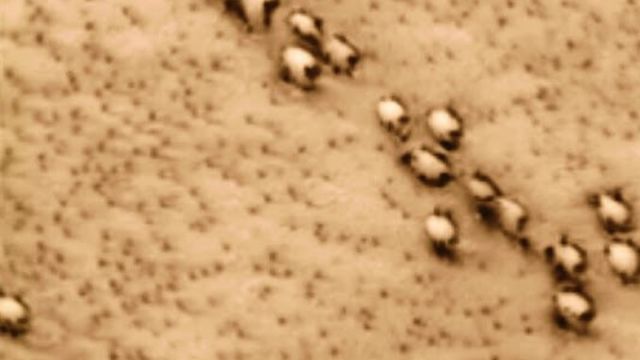 Armada Of UFOs On The Moon. Check out the post for that image above, it's absolutely mind boggling and if you think that's a lot of UFOs, wait till you see how many there actually is in total and with links also. This UFO (or Flying Saucer), for me has a genuine feel and a genuine look to it - exactly like someone is out in the night filming the Moon hoping to film a meteorite or a shooting star(s) etc that type of stuff? 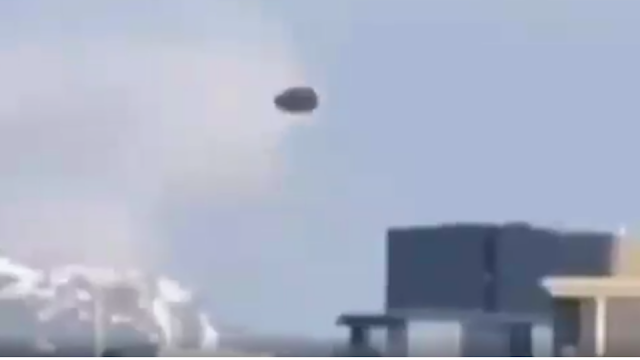 And then this UFO comes along - which looks like nothing we're used to seeing and that's what makes this very interesting and is why I'm saying that this is probably a genuine video. The lack of information is not a problem though as it is just the video which is a good thing in my eyes as there's nothing to be distracted by or any outside influences baring down with the video. We've just got the video to go from and that's a good thing. 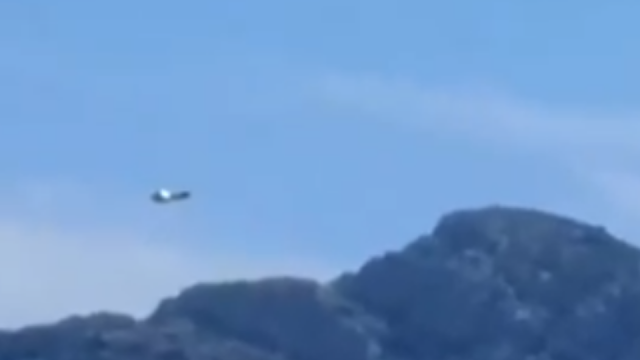 Here's an absolute stunning UFO filmed on tape in the southern part of France over the city of Marseille and by the way, the French have an extensive resume on "UFO sightings in France" see here for this list and this one will surely be added to that list. It was published anonymously as far as we can tell and the information is very limited so all that we basically have to go from is the video itself which is convincing. OK that's not enough to give us a definitive answer but it's the absolute bulk of being able to determine one and make a decision at least and plus, from what I'm seeing this looks good? There will be people out there with the same evidence as us but who will try to convince you that this is fake or that this is real, but still the information is all the same. It could be real or it could be fake and therefore it's a 50/50 chance and nothing more. Go with your gut feeling's and if your convinced then that's all well and good but don't add anything that isn't there. If it's fake then it will definitely come out that it's fake. If you feel it's fake, then that's all well and good. You can't convince people it's fake on a feeling alone as I've seen people trying to do that. Also on the same note, I don't try to convince people if a sighting is real as I ask people to go with their instincts and feelings only. 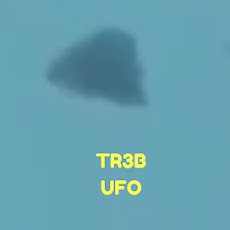 Here's an image from the video that I snipped and have zoomed in to the UFO to get a closer look at it, that's why it's blurry in this image as I wanted to get a closer look at the UFO but the pixels degrade the more I zoomed in to the UFO from just an image. 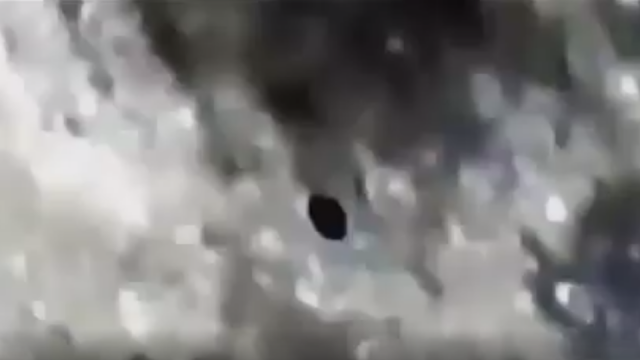 Based on the information right now that we have about this I'm going to say that this is looking pretty good as far as a "genuine UFO sighting was happening" and that the shaky video is because when zoomed in full, the slightest movement will always produce a shaky video. Try it yourself, zoom on to something full and you'll see that when a slight hand movement happens the video is all over the place. It therefore looks right to me. 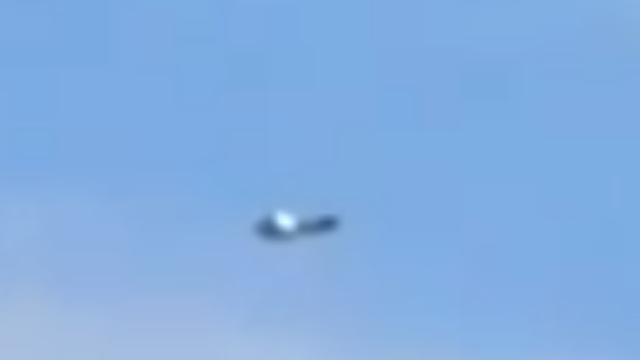 It's actually flying very slowly and almost hovering - not floating (very different things) and overall it has a good feel to it and as of today this really could be the real deal? Check back here for updates as I'll keep you posted on any developments as or if they happen. France has been the subject to many UFO sighting's recently like this Boomerang UFO and then there's this online post from Reuters which explained that the French Space Agency was going to publish it's UFO archive online (back in 2007) but we found this aswell Wikipedia and this also as it's the official French UFO archive Geipan. Geipan is the UFO investigation department of the French Space Agency and has released more than 100,000 pages and photos and videos! 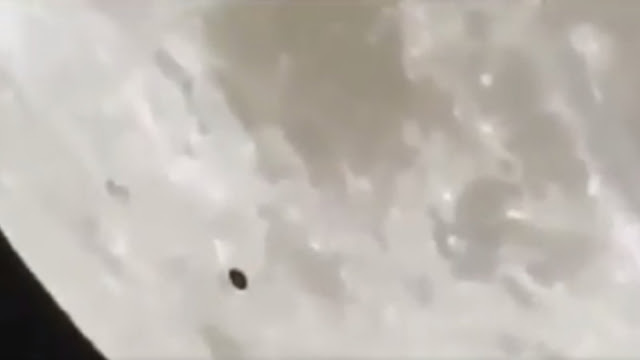 This UFO video will no doubt be added to that ever growing list of Unmanned Aerial Phenomenon or UAP. Jacques Arnould, an official at the National Space Studies Center (CNES), said the French database of around 1,600 incidents would go live in late January or mid-February (2007). Sure enough it did, links are below. He said the CNES had been collecting statements and documents for almost 30 years to archive and study them (mind blowing). 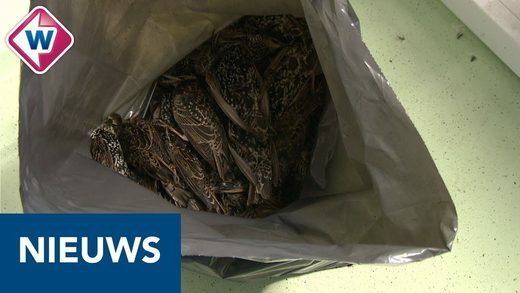 “Often they are made to the Gendarmerie, which provides an official witness statement ... and some come from airline pilots,” he said by telephone. Given the success of films about visitations from outer space like “E.T.”, “Close Encounters of The Third Kind” and “Independence Day”, the CNES archive is likely to prove a hit. It consists of around 6,000 reports, many relating to the same incident, filed by the public and airline professionals. Their names would not be published to protect their privacy, Anould said. Advances in technology over the past three decades had prompted the decision to put the archive online, he said, adding it would likely be available via the CNES website www.cnes.fr. Here's a list of countries releasing UFO files from the Disclosure Project (Old Website). Here's a list of countries releasing UFO files from Sirius Disclosure (New Website). 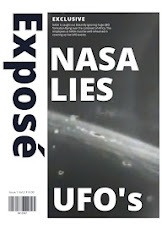 So publishing UFO videos anonymously by eye witnesses is something which even the French Space Agency think's is the right thing to do. They know the reasons why people anonymously publish the footage because of unwanted attention and the ridicule, career chances are squashed and some have even been sacked. Also, some people have disappeared and that's the scary part for some eye witnesses and whistleblowers who have to weigh up the choices and take a decision. Source CNES Geipan UFO Files. Source Disclosure Project (Old Website). Source Sirius Disclosure (New website). Source Reference National Space Studies Center (CNES). 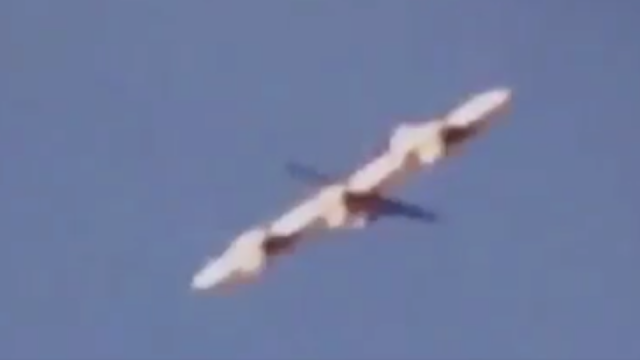 Source Reference Boomerang UFO (USF). Source Reference UFO Sightings In France Wikipedia. 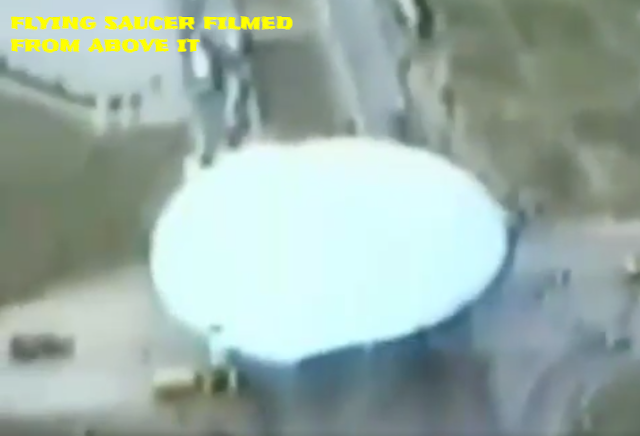 A Flying Saucer was filmed inside of a hangar which no doubt was classified at the time of filming this but obviously now declassified which is good for us - but shows us exactly what "they" was working on at that time which begs the question what the hell are these "teams" working on now? 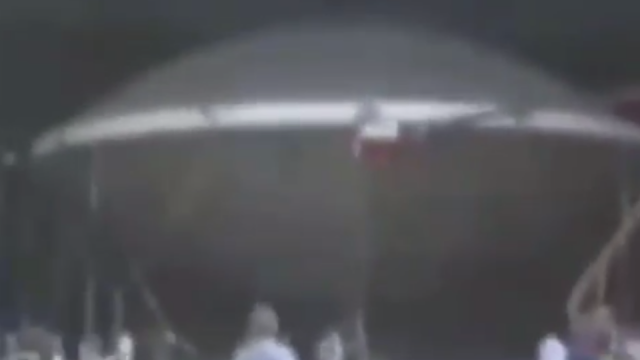 How strange and "uncanny" plus with very similar look's to the Battle of LA UFO does this Flying Saucer in the hangar look? 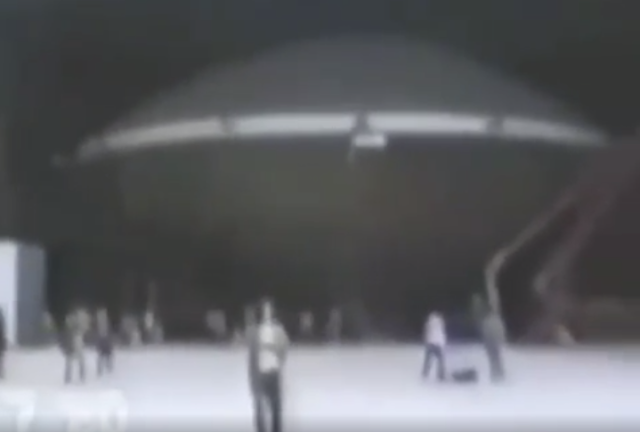 Is this Flying Saucer in the hangar related to the Battle of Los Angeles one and did the US military maybe shoot it down? World War II’s Bizarre “Battle of Los Angeles” On February 25, 1942, an infamous false alarm saw American military units unleash a torrent of anti-aircraft fire in the skies over Los Angeles. Early Report Of A Delta Shaped Craft From Washington State, US 1995. These secret groups are "researching top secret recovered technology" to bring it in to the bigger picture of Earth - to assimilate it in to engineering, construction and technology development and a lot more other industries which have all benefited from this assimilation. Secret History of RAND Corporation in Reverse Engineering Anti-gravity UFOs. These programs and projects may have changed their names and personnel might of changed over the years but the objectives, development and aims are still the same. To research, develop and invent, create and master the advancement and implementation of future technology "today". The RAND Corporation traces its origins to a research and development project created inside the Douglas Aircraft Company to study UFOs secretly retrieved by the U.S. military after the February 1942 Los Angeles Air Raid incident, according to former Douglas Aircraft employee, William Tompkins. Tompkins further reveals that in 1943 he began delivering briefing documents from a covert Navy espionage program, which had learned about antigravity craft created by Nazi Germany, to the Douglas research and development project that later evolved into the RAND Corporation. 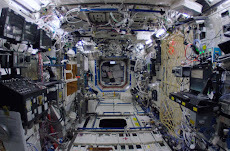 To bring the science fiction in movies which is playing out on TV screens in every home around the world in to our reality is just a dream for most, but for some it's an everyday job. It's a way of life and an objective they've been working on for some number of years even decades. With other like minded people and a like-wise budget of pure optimism and based on their success - the funding is never ending because they're creating everything and leading the way in technology type inventions all based in back engineered technology from crashed and recovered UFOs, Flying Saucers i.e transistors, micro processors, anti-gravity systems. That's if you believe it or not? Robert Scott Lazar (/ləˈzɑːr/; born January 26, 1959) is an American self-described scientist who claimed to have worked on reverse engineering extraterrestrial technology at a site called S-4 near the Area 51 Groom Lake operating location. Lazar said that the UFOs use gravity wave propulsion and are powered by the (then un-synthesized) element 115. He said to have read US government briefing documents that describe alien involvement in human affairs over the past 10,000 years. Lazar's claims resulted in bringing the secret Area 51 site to the attention of the public. Bob Lazar Exposes Reverse Engineered UFO Technology And Element 115 Over 30 Years Ago! Groom Lake, S4. Source Reference Ellement 115 (Moscovium) Wikipedia. Source Reference Reverse Engineering Wikipedia. Source Reference Billy Carson 4biddenknowledge YouTube. Source Reference Early report Of Delta Shaped Craft From 1995 (USF). This is one of them amazing videos which don't come along very often because well, there just isn't that many real UFOs as if there was we'd all be seeing them everyday and it would be old hat very quickly. 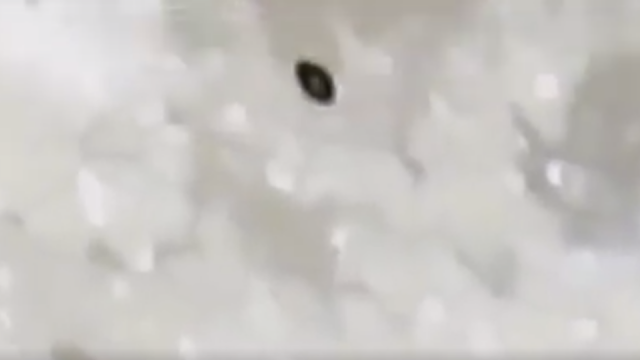 This UFO comes in from the left to the right and we get a close up many times of this UFO as trying to keep up with a UFO when it's flying must be hard so you'd expect that it would constantly keep going in and out of focus? 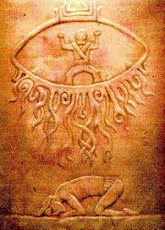 The details on this are stunning to say the least if not a little bizarre as the UFO towards the end resembles a nose! The two nostril holes and the bump in the middle, seriously is it just me or does it look similar to a nostril, lol. Anyways, this is going over the city or a town maybe on the marina or close to water and at the foot of some mountains. People are always submitting UFO videos anonymously because of the derogatory remarks people could possibly make towards them and some people have suffered career wise because of submitting UFO reports. Sometimes employers have found out and terminated employment contracts "friendships" and others have even suffered physical violence not to mention the government threats. Which we've covered in past posts such as the real MIB or Men In Black turning up in the early hours and making very, very real threats on people themselves but also their families and their friends! It is a very real prospect that some have even died as a direct result of publishing top secret, classified and basically highly sensitive Alien materials. 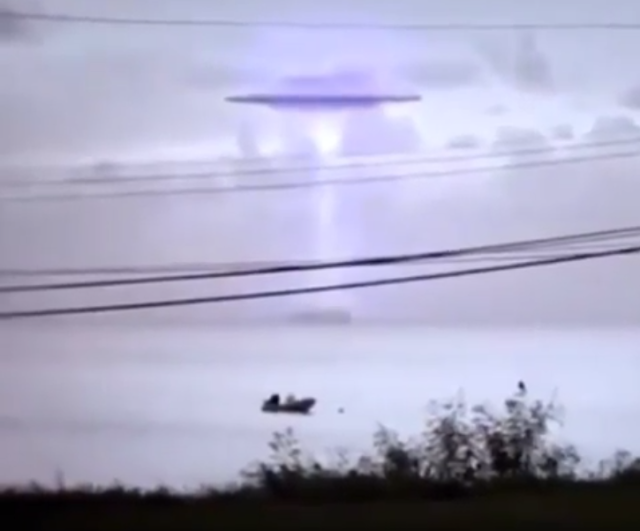 So I totally get it that eye witnesses at the time get pumped up filming this kind of stuff - then the dreaded reality sinks in (especially when) they see such things as the X Files, MIB (movie) and of course National Geographic's long running TV series Ancient Aliens or NASA's secret files etc. It dawns on them that their could be repercussions and a car following them and then other unusual things might happen so they just don't post it themselves and do it anonymously or as hard as it would be to do, they just delete the footage! 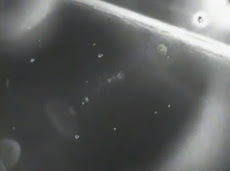 So no information with a UFO footage video is not a bad thing, in my eyes it can give it more credibility (sometimes). OK, I've done a fair few posts over the years all about CERN and the weird science they are exploring (plus very serious allegations of Satanic ritualistic behaviour or ceremonies if you like on the "actual" grounds of CERN) they where apparently conducting? The strange experiments which they are performing of which has never been performed before. It's not the way they do the experiments because that's science and engineering but rather the things they are experimenting on in particular? Tiny, tiny particles of hydrogen - smashed together near the speed of light unlocks the energy within it and creates an anomaly the existence of reality itself! One reality should not be opened inside of another reality which is what they did. Which is why they did even thought they could of also set light to the atmosphere or "reality itself"! This is just a taste of the bonkers science experiments they're creating. Putting everyone in mortal danger is an absolute understatement. It's not a case of scaring people with words, it's the title of the experiments themselves which are the scariest pert of learning what they do. In other words, it is what it is with no added effects. I'm talking about recreating a black Hole here on Earth plus the odd Big Bangs and the smashing of particles close to the speed of light (personally I think it's faster now) based on the breaking down of what's normal, these guys don't stick to any normal "rules" they make the rules but the rules of reality itself. Travelling at the speed of light would be a whole new science because everything in science is based around NOT travelling at science right so everything based on hi8gher speed would result in a different answer in absolutely everything! If you think they can't do that, well remember the black hole they recreated/ Remember the Big Bang they recreated? DO NOT tell me they can't travel that fast because I know it's definitely possible based on "their" approach to physics, science. 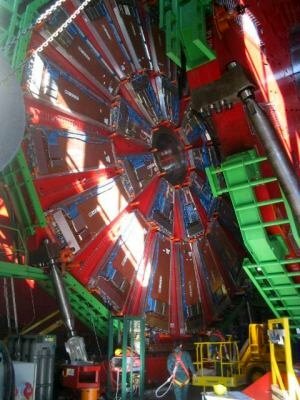 Laws of physics was created for CERN to break! Clearly, something of interest is going on here, but what? How to explain the fact that many different people can share the same false memory? This, unfortunately, is where much of the Internet discussion on the topic veers into woo-woo territory. There's a theory going around online that CERN (the European Organization for Nuclear Research) experiments have caused the world to shift into an alternate reality where Donald Trump has become president. As most people would agree, this clearly can be labeled fake news. Trump theorists cite "the Mandela effect," a phenomenon that occurs when large groups of people believe something happened even though evidence shows it isn't true. Some think more of these incidents have occurred since CERN was established, and suggest that its particle physics experiments are causing the world to shift into parallel universes. People are recalling the original reality, which is why there is divergent thought according to the believers. 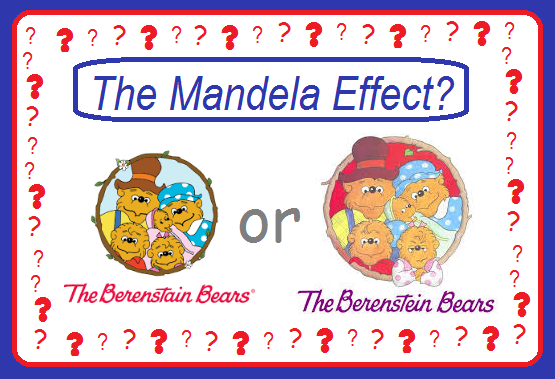 "Mandela effect" examples include thinking Nelson Mandela died in jail in the 1980s, mistaking "Berenstein Bears" for its actual name "Berenstain Bears," and believing in a 1990s movie where comedian Sinbad played a genie. In Trump's case, conspiracy theorists have cited "evidence" like his quote on terrorist attacks on Sweden and assertions that Muslims were cheering in the streets after 9/11, both events which they believe stem from memories of a parallel universe Trump used to reside in. A shift could also explain a rash of unprecedented outcomes in sports, like the Chicago Cubs winning their first World Series since 1908, and Donald Trump's election to the presidency, despite most polls predicting Hillary Clinton was going to win. The idea has generated several joke threads (and perhaps serious threads) on internet message board Reddit. What's probably really happening is that people have lapses in memory, especially when they aren't paying close attention to details. "Geologists study the patterns and structures of rocks to learn about the origin and formation of the earth. 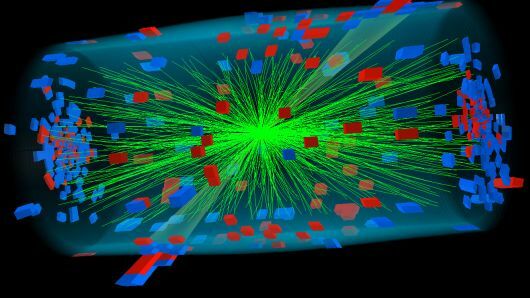 Particle physicists study the properties and behavior of subatomic particles to learn about the formation and evolution of matter in the universe. Everyone (from young children to particles physicists) learn about the world by gathering data, making observations, and experimentally testing ideas. The researchers at CERN are applying this same methodology to learn more about the smallest components of matter." A leading psychological theory holds that memory is constructive, not reproductive - i.e., the brain builds memories out of various bits and pieces of information on the fly as opposed to playing them back like a recording. Memories aren’t pure. They can be distorted by any number of factors, including bias, association, imagination, and peer pressure. Getting back to the Berenstain vs. Berenstein quandary, one explanation for the variant spelling is that names ending in “stein” are far more common than those ending in “stain.” People’s recollections are distorted by prior associations and expectations. Why do some people remember Nelson Mandela dying 30 years before he did? Perhaps it’s simply a case of two isolated bits of knowledge - that Nelson Mandela spent a long time in prison and that he’s dead - being pieced together into a false memory in the absence of an actual recollection of the announcement of his death. Memory is fallible - have we said this enough? The list of psychological and social factors that can disrupt and distort recollection is very long indeed. It’s to these we should look first for an explanation of the Mandela Effect. For more, see “The Seven Sins of Memory” by cognitive scientist Daniel Schachter and the list of common explanations for the Mandela Effect on the Debunking Mandela Effects web site. Everything We've Been Taught Our Past Is A Lie. Parallel Universes and Virtual Realities One theory based on principles of quantum mechanics holds that people who experience the Mandela Effect may have “slid” between parallel realities (à la the science fiction TV series Sliders). After growing up in a universe where it was “Berenstein” Bears, for example, some people one day woke up to find themselves in an alternate universe with “Berenstain” Bears. Another theory posits that unbeknownst to ourselves, we all exist within something resembling a “holodeck” (a device in the world of the Star Trek series that creates a virtual reality experience for recreational purposes). On this model, apparent memory glitches are actually software glitches that cause inconsistencies in our perception of reality. Can you prove this isn’t the case? There’s nothing inherently wrong with this sort of speculation - it’s fun, in fact - but it yields no practical explanation or testable hypotheses. Nor is it necessary. Beck, Taylor. “Making Sense of Memory.” Harvard Gazette. 16 August 2012. Broome, Fiona. “Nelson Mandela Died in Prison?” Mandela Effect. 9 September 2010. Broome, Fiona. “Theories.” Mandela Effect. “Common Explanations.” Debunking Mandela Effects. Source Reference What Are The Answers. Source Reference USF Everything We've Been Taught In Our Past Is A Lie. Taking a leap of faith often involves doing something that you don't normally do right? 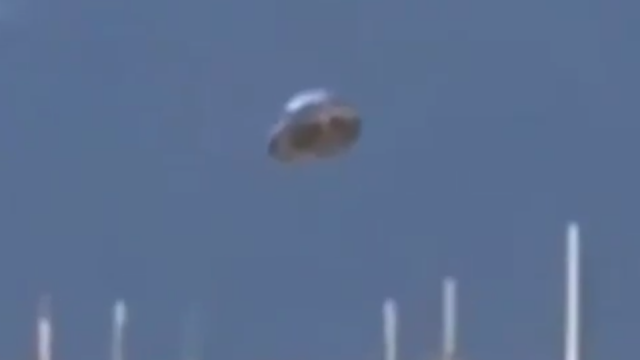 This Flying Saucer if it is a UFO looks really promising but I can't help but think that this is far fetched? 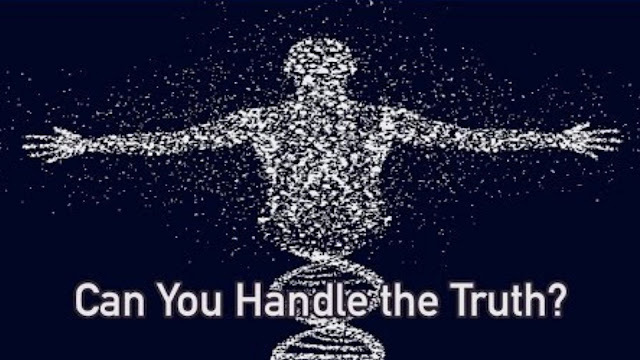 I stated in my last post that I have to stop being "judgemental" with UFOs or what I think is a UFO because like I said then, who am I to say what's real and what's not? Seriously, nobody has a built in "truth detector" for UFOs specifically! Yeah we have common sense and gut instincts and even the ability to spot fakes a mile off - sometimes and that's not just UFOs, you can apply that to almost anything and any situation probably. So for me, this has the look, the feel and the possibility that this could be real? But I need your opinions and what you think this is? 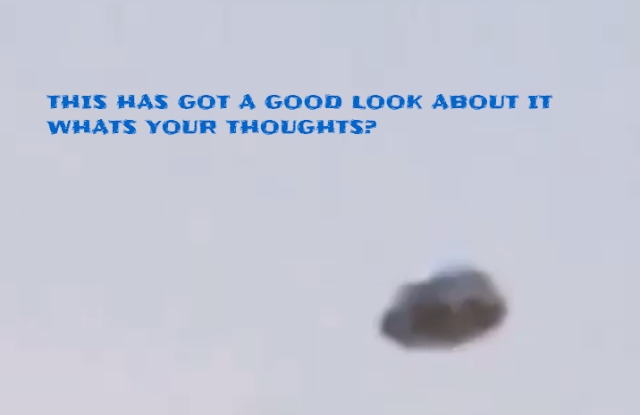 People are generally curious and interested in this type of stuff (Ufology) because most people want to believe and then some want it not to be real and some don't care either way? But then there's the bunch that know it's real no matter what because of the research and the stuff over the years they've been given, found, discovered and come across and seen in the skies themselves. It's you guys that I would like to know from if you've ever come across anything like this before or is this just graphics (albeit very good and very convincing graphics) but is it graphics nonetheless and created from computer software and nothing else? Overall it looks real but still, im having difficulty in believing this because i'm not used to seeing this kind of UFO at all - so based on that I had to post this and overcome my judgmentalness and instead of dismissing it "because I haven't seen this before" or that I don't like it is absolutely absurd! So I had to post this because it could be real, so let the people decide? This is why I post this stuff "to definitively know one way or another" and it's usually how developments are made guys. It's surprising what one thing can lead to, like going from this to a connection between a decades long mystery which has all the same hallmarks etc. They are the things that intrigue me most because seeing a UFO is one thing, but where does it go (if it's real) it has to go somewhere, right? It doesn't just curl up and bury itself on the beach till further notice of instructions! So, if you can give us your thoughts and opinions guys that would help. If you think it's real can you elaborate and again if you think it's fake please elaborate (don't just put "fake" please) as this isn't helping we already know that's a possibility". 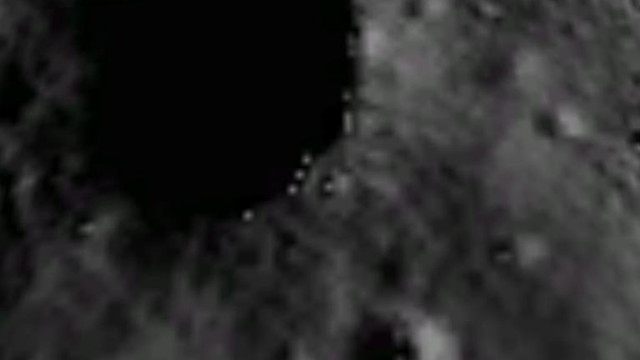 Silver UFO Caught On Video With Very Clear Zoom In. My first good impression from this was the way the water is disturbed where the vortex from the Flying Saucer meets the water. This looks very good and a strong possibility it could be real which makes this whole UFO sighting a possible candidate for being real. 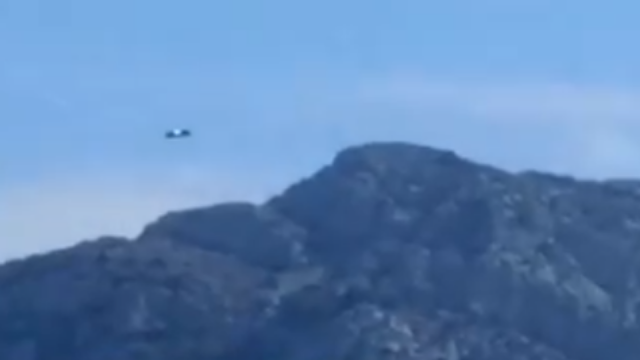 This is a short post about two UFOs in one video where they both look absolutely amazing to me. The first UFO is definitely passing by the plane in the air and it's going over land. 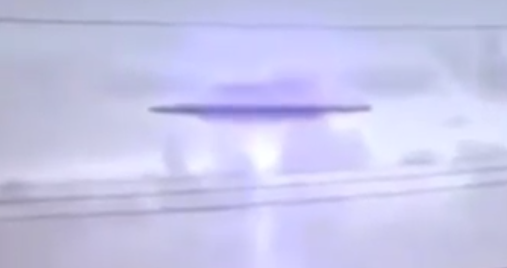 The second UFO looks like a missile but not like I've seen before and even the person filming it cannot identify it. I always post the stuff that I like and I don't always get it right, but I always have to try because it's what I love. These two UFOs are amazing beyond words and if these are Alien in origin then it's about time the government steps in and clarifies it don't you think? Ufology is amazing it really does give you answers that aren't taught at school, college or University unless you take Alien life 101. You know when you see a UFO video or image and you instantly think "wow" that actually looks real? Well these are the things that I love posting about. The more interesting they are the more if feels like it could be real? 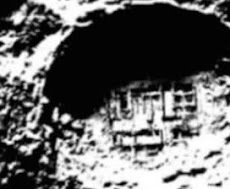 When I say real that means, Alien, back engineered, secret technology, hybrid technology and lost knowledge and recovered technology say from an ancient archaeological dig site? You better believe that there's stuff like that out there! Anyways, please enjoy the video and if you can leave a message that would be great. Sharing this would be even better, cheers guys have a good one. Source Quick Minuet Media Instagram. Probable confirmation of the serious dangers that 5G are posing have happened in the Hague "again", inside a park. That's right, a park where people go to relax and let their kids play! If this doesn't wake up the 5G industry then I assure you that "nothing" will, at all. Nobody has got a 5G phone or a 5G TV or any other kind of gadget so they are rushing in to this one to fast, they need to stop rushing it and finish it with safety in mind. Is this going to be "rushed under the carpet" and not brushed under the carpet? I can assure you that the people in charge will have definitely thought about it but with to many eyes on this they can they carry that out? Not been able to - believe you me, that's a very good thing but it still doesn't mean anything unless they take another route and instead of insisting on 5G why not improve 4G? I believe it's because of this, 5G is a new product so they can make far more money from a brand new product as opposed to improving the 4G signal which already exists! That's my own personal opinion which you can again, probably take to the bank? 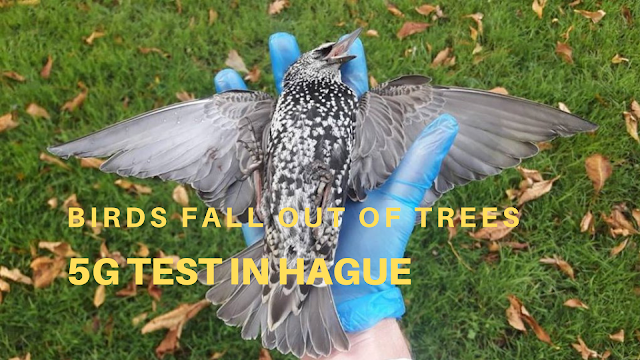 When the engineers turned on this new 5G signal in the Netherlands for a test, 297 Birds promptly fell out of the trees where they were roosting and died. Also the ones that was flying over the park because for any park 297 birds seems like a lot - so I can only assume that birds flying over the park where also affected? I know the bloody dangers this 5G poses and it should of been abandoned ages ago until 4G has been fully explored and it's full potential has been exhausted! Then when 5G is ready, (from a blueprint point of view) it would reveal itself through advances in technology with applications in a safe way. In other words they're rushing it and it's to early because who the hell has a 5G TV or smartphone? Nobody is the answer! Think about it... They're rushing it! The main focus should of been on safety because it seems they didn't even factor in ANY safety precautions whatsoever from the start and it's only now that they are begrudgingly putting in safety measures (are they check, this link here) the answer to that in this FOIR is SHOCKING! Which is sadly "an industry standard the world over" build it and then add safety maybe but in the meantime "cover it up" which I thought these engineers where better than that? Because they claim to be the best! Working on the so-called future of communications, lol. Oh well, you can't apply what works for one thing and apply it to another and expect it to work it doesn't work like that at all especially on 5G because it's never been done before it's in a technology bubble all unto itself. 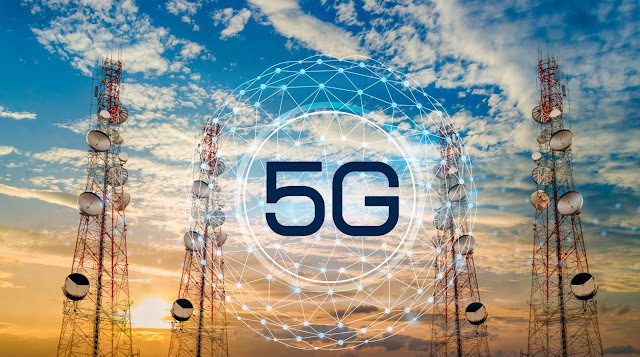 So to build it and only think about the safety at the end - well that tells me they're still working off OLD PRINCIPLES what they know in other areas is good, but this is not other areas this is stand alone 5G technology (well that's what they told us in the past). Nokia And Vodafone Are Putting 4G On The moon. Known health dangers posed by ALL electromagnetic radiation as confirmed by the World Health Organisation in their Group 2B classification (possibly carcinogenic)? This link proves to me that 5G is profit orientated. For example, there is a tendency for higher investment levels in countries that have awarded longer licences (see this link). Longer licences mean more profit over time for the 5G companies which is a massive incentive given by these "countries" knowing this is the way to attract them regardless of the safety implications. 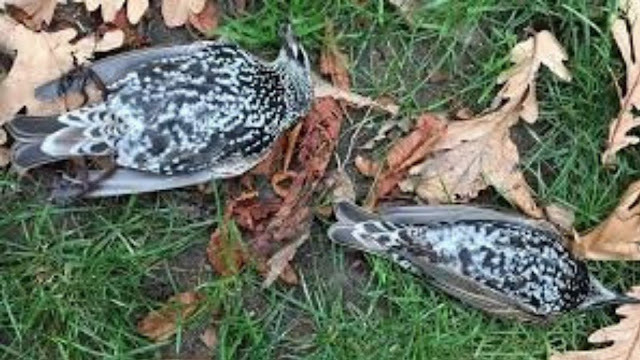 Wow, 5G testing has yet again given the biggest result so far and it's not a good sign at all because hundreds of birds fell out the sky and quickly died. Source European Commision And It's Priorities. Source Reference What Do they know. Source Reference Nokia Vodafone Putting 4G On Moon.